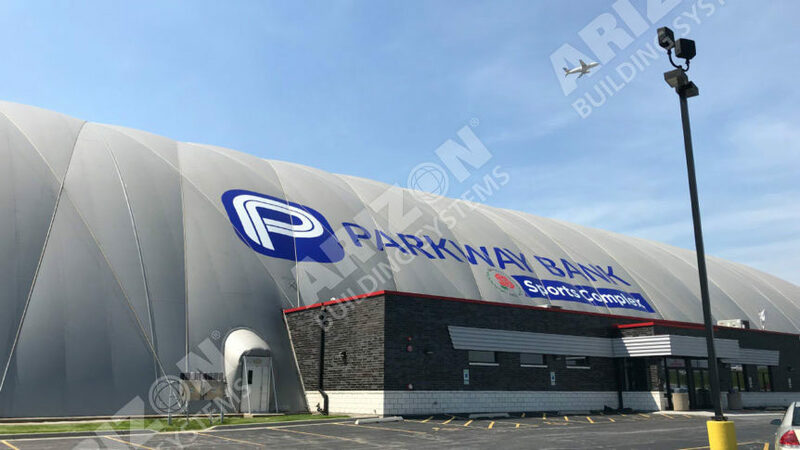 The Dome at the Ballpark went into a 3 year naming contract with Parkway Bank, renaming the facility the Parkway Bank Sports Complex. In conjunction with this contract Rosemont worked with Arizon Building Systems to install the new logo onto the dome. Two graphics were installed onto the dome by the Arizon team, one being 125′ long and the other being 40’x40′. To learn more about the naming deal, visit www.journal-topics.com.